1. Start your PowerPoint 2010 program as usual and create your presentation. 2. Change to the slide sorting window and click on your first slide. 3. Now go to the slide show-view. 4. Here please click on “Record Slide Show” in the subcategory “Set Up”. You will see a new window opening. Now you can decide if you want the audio track to start playing right at the beginning from your first slide, or if you prefer it starting with a slide later on in your presentation. 5. Make sure that you have a working and active microphone connected to your PC. 6. Now tick the box reading “Narrations and laser pointer”. 7. 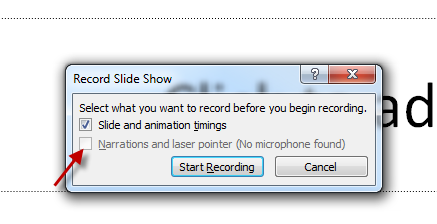 If you click on “record”, PowerPoint will start recording. At the same time PowerPoint automatically runs the presentation. In the upper left corner of the presentation you can see a window with the recording chronicle. 8. Now you can start reciting your text in a normal tone of voice as if you were presenting in front of an audience. 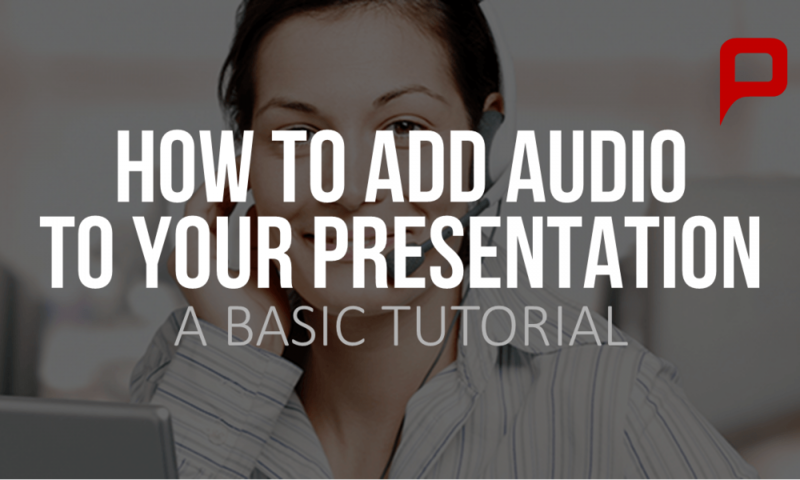 As soon as the presentation has finished, a window will open and you can save your audio-text. 9. On each slide a loudspeaker icon will pop up in the right hand corner. This icon helps you to adjust and revise the text that has been recorded for each slide. To delete an audio-text just delete the entire loudspeaker icon and start over again. 10. Now start the slide show from the beginning. PowerPoint will start playing your presentation together with the audio commentary automatically.